Crown Park Golf Club is tucked away from the hustle and bustle in Longs, SC, just 15 minutes from North Myrtle Beach, South Carolina. Crown Park Golf Course is designed by Robbie Byers with 18 attactive holes. 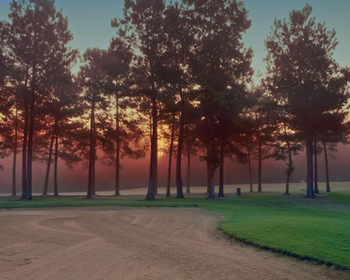 The course's unique design layout, extensive mounding, rolling hills, and smooth Tifeagle greens are ideal for year round golf in South Carolina. With a course rating of 71.2 and a slope rating of 125, both experience and novice golfers can take advantage of the four sets of tees. Golfers are invited to leisurely stop by the clubhouse to enjoy a refreshing cold beverage. Visit the golf shop to purchase a Crown Park shirt or hat. Golfers can warm up on the impressive practice area that includes: a driving range, chipping area, sand bunkers, and a putting green. Don't fret if you forgot to bring your range finder along with you because each golf cart has a mounted GPS navigation system for your convenience. Crown Park offers many golf deals...book your tee times now. We called and made afternoon tee times but "Henry" couldn't find them or more importantly didn't really care to find them. He was rude and acted like we were not good enough to play there. Their loss, we called Beachwood and they told us to come on down. We had a wonderful time and will never go to Crown Park to play. Thank you Henry, I hope your day got better. Awesome people, we had a golf tournament for kind Keeper no kill animal rescue . Could not ask for a better course and staff!! Course was a bit rough but it was February so no big deal. Biggest complaint was we were behind several groups of older couples and probably waited an extra 20 minutes to tee off. Again, no problem, it is what it is. These slower groups only played 9 so on the back we were able to pick up the pace. Our second foursome fell about a half a hole behind us and the ranger came to tell them they were way behind and holding up the whole course???? Where was the ranger on the front? A five hour round due to others slow play on the front 9, followed by a scolding for our supposed slow play on the back. With so many course choices in the area, not sure we'd go back. Update: A year after being there, my friends got scheduled to play here and said it was in much better shape. This is by far one of the worst golf courses I have played in my entire life. There was more mud and mosquitoes on the golf course than there was grass. The whole thing was a swamp trying to look like a golf course. You couldn't pay me to ever play here again. Any reviews that are favorable for this course are payed reviews. Great course.. well b bck.. back plays real fast. We had a 5'some an was done in 4hrs..
Cart path only today - never good. Greens are in great shape. Cart path are in poor shape. Fairways and tee boxes have been over seeded, but have been too wet to cut for a fee days. Really nice local golf course. Great staff. Enjoyed a great round of golf while in Myrtle Beach! Nice course for the price! It s a little under rated if you keep your ball in the short grass you'll have a fun day. I decided to give this course a second chance and I must say I was very impressed with all improvements since my last visit. Nice course. Easy fairways. Greens not too good a shape, but they are certainly working on them. Fair price at $29.